Am I the only one here who would prefer a van over an SUV? Comparing vehicles with a similar size and nearly the same driveline, a van would often provide a more usable space, which makes more sense from an utility standpoint, and eventually can even get a better fuel economy. 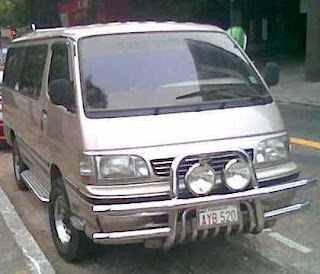 Going a little further, there are those typical Japanese vans that are usually shorter and narrower than a compact pick-up truck or SUV while still providing more useful space than the SUV and a fully enclosed rear area. Sure it wouldn't be suitable for someone who actually needs 5th-wheel towing capability, but they would be a good option for an average "working-class hero" and the soccer-moms. workaround ideas to discuss among friends: Why do I prefer a van over an SUV with a similar powertrain? The only vehicle that competes with a minivan for utility, in my eyes, is the tahoe/suburban. We bought a traverse and love it! I lost interest in minivans when I saw how much they weigh(4000lbs+). No way to get decent gas mileage with that. Plus the aerodynamics of a brick...eww. Maybe certain imports will be better. Maybe. It's relative, our minivan will get 19 with a 80% city cycle and my wife not even trying. I can get it up to 29 on the highway. It has more room then a Suburban which even as a hybrid can't touch that highway. That is a 2011 Chrysler. The 2017 Pacifica has much improved areo, lighter weight, and improved engine. It should be over 30 highway pretty easy and soon there will be a hybrid version as well. We have both the minivan and an Aspen which is almost the same size as a Tahoe. The minivan is much more used, the Aspen is for nasty mountain roads and towing the camper. The minivan is used every, single, day, even sundays and vacations. My ex-sister-in-law went and bought a Suburban. Would she ever tow anything? No. It's a glorified minivan. In this case the "glory" an extra $10k, terrible gas mileage, and less interior space. Unfortunately, those Japanese cabover vans are not available in the US. I had a '88 Vanagon Syncro that was great in the city, on snow and ice, and dirt road driving. Highway driving was high stress in windy conditions (shoebox on stilts). MPG was a solid 16 city and 18 highway. The Cd of a base 2wd vanagon was .44. When the vanagon died, I drove a borrowed Dodge Caravan and loved the improved highway handling and much better highway mpg. I soon bought a '92 T&C. The Caravan design is versatile and the payload equals that of a 1/2 ton pickup, though that is for occasional use, unless you put in optional heavy duty springs (you need to also distribute the load to approximate passenger seating, so no heavy point loads). I am driving a 2014 T&C now and it gets 16 to 18 (depending on the weather) around town and about 27 on the highway (over 30 if conditions are perfect). I drove an earlier model rental with the 4L V6 that performed better and got better mpg. The automatic transmission used in the Chrysler minivans is prone to failure. Why they have been unable to fix it in over 30 years is a mystery. The hybrid Pacifica is tempting, but very pricey at $43.090 ($35,590 after federal rebate). Replacement battery pack is priced above $11,000. I had considered a full-size van and nearly bought a very nice Chevy 12 passenger. Fuel economy would have been acceptable for mixed driving. In the US most vans are uni body built up from car or suv platforms and transverse drive trains. In the US the term "SUV" could mean a glorified car or something with a frame, V-8 engine, heavy duty transmission and full float axle. Just depends on what you need. Am I the only one here who would prefer a van over an SUV? That's a nice, friendly front end. I had a 1961 VW Type II panel van. On a fresh engine rebuild, I ran 60 miles over the Oregon Coast Range and it took exactly 2 gallons. It had staggered tire sizes, sway bars and gas-pressurized shocks; I had policemen pull me over to tell me how well it went around corners. 85mph top speed and 75mph summiting the Coast Range when empty. It weighed as much as a Beetle and had 3/4 ton rated axles. Too bad they are unobtanium now. 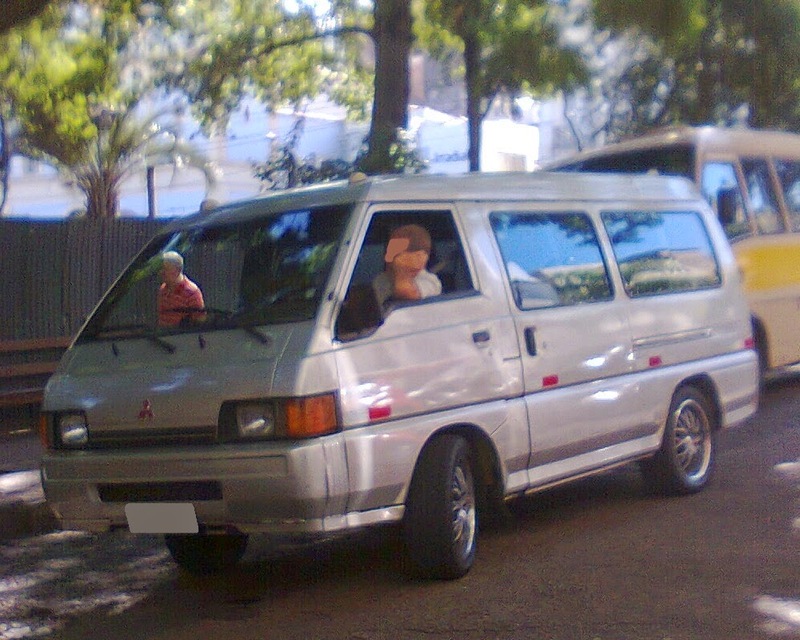 Those forward-control Jap vans are not as weak as their size may suggest. They share most of the mechanical configuration with the compact trucks from their respective brands. Anyway, the internal volume of those vans seem to be more optimized than it would be in a comparable SUV. Around here minivans are probably more popular than SUVs. And wagons or hatches are more popular than minivans.